Mock Objects: What happened to the mockobjects.com library? What happened to the mockobjects.com library? 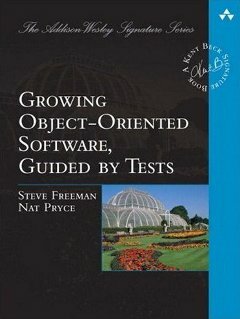 We recently had an inquiry about our old mockobjects.com library. It's still in cvs at the sourceforge project but, essentially, it's dormant. These days, there are better alternatives for Java, like EasyMock and (ahem) our own jMock. I've inherited an application with JUnit tests that use mockobjects 0.09. Many of the tests no longer work. I want to understand what the tests are SUPPOSED to do so I can update them to again perform their tests properly. In the process, I hope to better understand how this undocumented application works. Are there any documents hanging around anywhere documenting the features of mockobjects? I don't find any in the source and bin downloads on sourceforge. Ouch. It's been quite a while since we closed that version. That said, if you understand the concepts, the library should be pretty much self explanatory, it isn't very bug. If you're struggling, perhaps you could send me an example of a test (I joined you on Google+) and I could work it through? Normal service will be resumed.